Bones the dog needs a home! This house is the perfect size for our Bones the Skeleton Dog decoration. 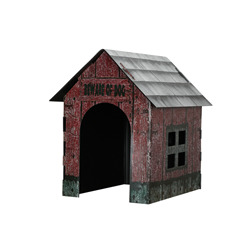 The dog house Halloween decoration is colored as pictured and measures 18” tall, 18” deep, and 12” wide.